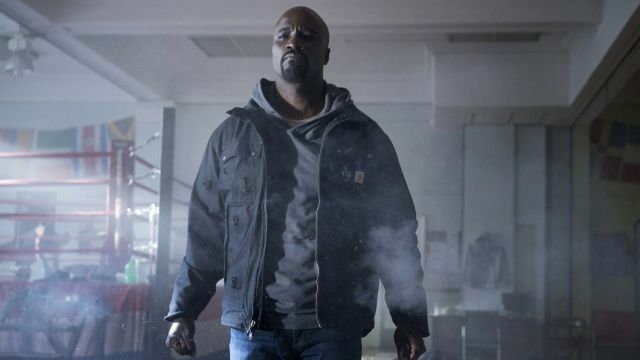 Eulogies continue to pour in for the recently cancelled Luke Cage. When the word broke about the fate of the series, cast and crew members took to social media to express their disappointment. Showrunner Cheo Hodari Coker and actress Karen Pittman were among the first to share their thoughts on Twitter. Now, after taking the weekend to process the information, series star Mike Colter has broken his silence on the matter. Suffice it to say, Colter’s week wasn’t completely terrible. The actor reflected on the news in an Instagram post featuring his newborn baby daughter. Of course, Luke Cage wasn’t the only Marvel show to get the ax this month. Iron Fist met the same fate one week earlier despite critics hailing its newest season as an improvement over its 2017 debut. In the wake of the twin cancellations, some fans have urged Marvel Television to develop a Heroes For Hire series. That potential show has a precedence in the comics, as Danny Rand and Luke Cage have frequently teamed up under this banner. With the actors freed from their TV commitments, it could also be easier for Marvel Studios to entwine the Netflix-verse with the MCU. If the characters were to appear in any upcoming films, they could prove that the notion of “it’s all connected” is more than a flippant hashtag. Meanwhile, Daredevil’s third season was released this weekend, and new seasons of Jessica Jones and The Punisher will presumably air next year. It’s unclear how Disney’s plans to launch its own streaming service will affect these shows, but we’ll certainly be watching for further updates. Let us know what you think about Mike Colter’s response in the comment section below!